Welcome to this charming St Matthews home located on a quiet, tree-lined street! You'll immediately notice the character in this home with the beautiful bay window, original door casings, glass doorknobs, and refinished hardwood floors throughout most of the first floor. This home has three spacious bedrooms and two full baths. The large master bedroom has an addition with French doors that open onto the deck. The first floor bathroom has been updated with subway tile and a resurfaced bathtub but it still retains its original charm with the original tile floor. The first floor also includes one more spacious bedroom with hardwood floors. Upstairs, you'll find a large bedroom with its own full bath and walk-in closet. There is also a nook area that is perfect for a home office on the secondfloor. The basement is mostly finished with a family area, built-in bookcases, and a bar. There is a separate laundry room in the basement and an additional room for storage. Outside, the current owners added a new concrete driveway and a new garage door. 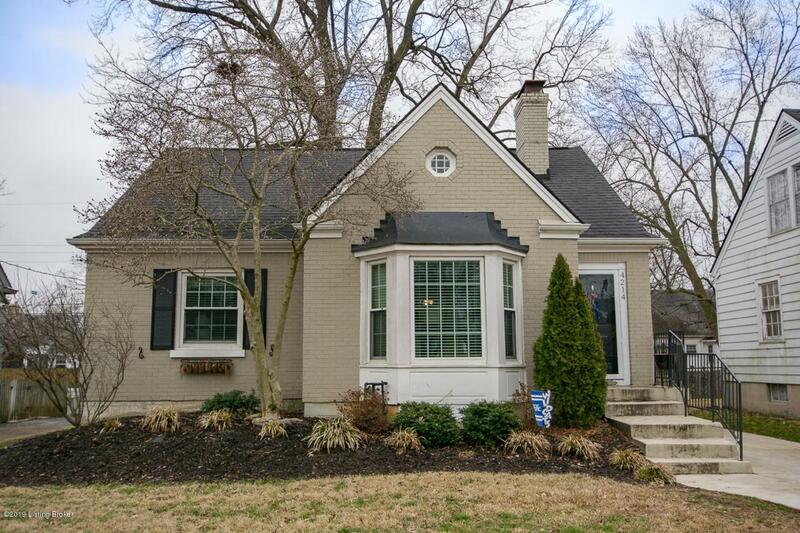 This home is conveniently located to all the great amenities St. Matthews has to offer as well as interstates. Don't miss out on your chance to call this house your home!